Today we will talk about a small element of equipment which we always take with us for tec diving and which has always been very useful. Imagine such a situation: You are ascending from 70 meters, you want to open the tank with decompression gas, but although the knob is turning, it does not open the valve… or: you want to change to the other tank with deco gas and suddenly you realize there is no knob in the tank… These are not very funny situations, but they really happened during our TecRec courses. 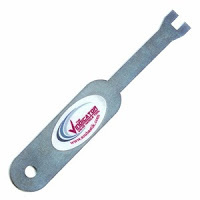 Now thanks to this fantastic retaining nut key it is not a problem any more – it is enough to twist off the knob and open the valve thanks to the special end of the nut key or in the second situation – just open the valve with the nut key. 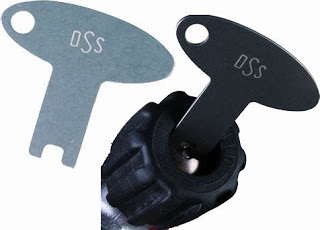 you can make a nut key yourself (if you have the knowledge, skill and safety equipment – Editor)– thank you Radek – or you can buy them from tec diving retailers. Proper, maintenance, handling and checking of tank valves will do a lot to alleviate this problem. In the recreational resort diving industry tanks are handled badly due to turnover etc…this is now spreading into tec diving, maybe more emphasis on equipment care should be put into tec training courses at all levels…. Next PostNext Become a PADI Rebreather Instructor!